Think coastal gardens and you are likely to conjure images of something "holiday cottage", windswept, earthy, hardy with little "green", and lacking formality or elegance. Experienced gardeners living on the coast know otherwise. It is possible to have a fabulous garden so long as you work with the site layout and the local climatic conditions. Soil will also play its part, it maybe sandy or include some rock. 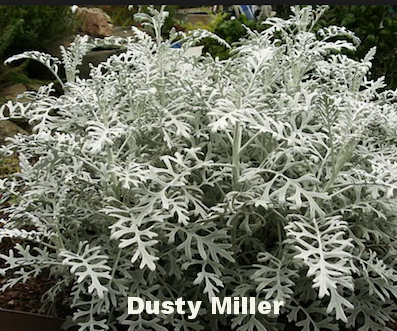 Either way, the soil characteristics will significantly influence the garden design and it's ultimate success. For more about soils click here. The plants that I have listed represent just one option for a coastal garden. Most plants are complementary to each other and if good garden design principles are adopted, they will provide a fully layered, textured and enticing garden. Trees are important to any garden, but in the case of a coastal garden be careful not to restrict any fabulous views. Use them to provide shade and definition to the garden. I have selected the very reliable Tuckeroo (Cupaniopsis anarcardiodes). It is an Australian evergreen that works within most garden themes. For something completely achitectural, a Dragon Tree (Dracena draco) is a stunning specimen. 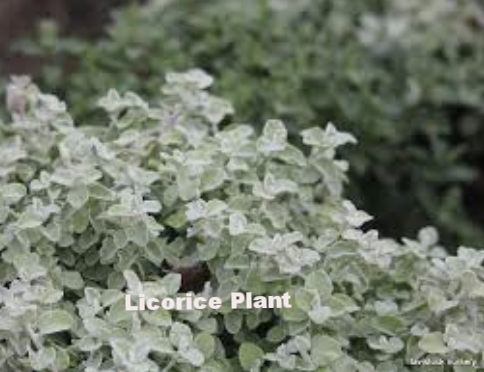 They certainly make a sharp focal point in any garden as a tree, or something smaller if planted in a large container. I find that grey/green plants work well aesthetically within coastal gardens. They complement the architectural color schemes often found in coastal suburbs and towns, but also they are generally a hardier plant. Those I have selected can be left to grow to their natural size, or pruned into any shape if you are looking for a little order or formality. My selections include Coastal Rosemary (Westringia spp), White Correa (Correa alba), Licorice Plant (Helichrysum petiolare), and Dusty Miller (Senecio cineraria). For textural contrast, scrappy leaf plants such as Mexican Lily (Beschorneria yuccoides) - my all time favourite plant - or Narrow Leaf Bird of Paradise (Strelitzia juncea) are excellent choices. As the Strelitzia ages, the paddle shape leaf disappears so the plant looks more like a rush or reed, but much sturdier. 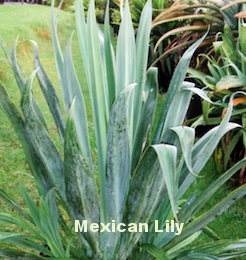 A dramatic, and larger plant is Mexican Hemp (Furcraea foetida) With its upright variegated leaf blade it is a standout when mass planted. 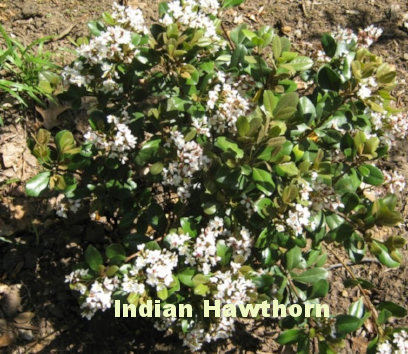 For a deeper green, Indian Hawthorn (Raphiolepis indica) is hard to beat. Grasses make a good filler, or if mass planted, a great statement in their own right. 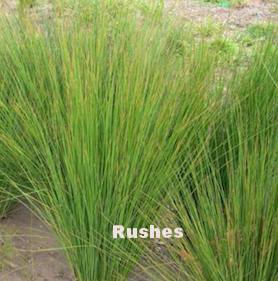 Good for the coast are Rushes (Juncea app) or Knobby Club Rush (Ficinia nodosa). 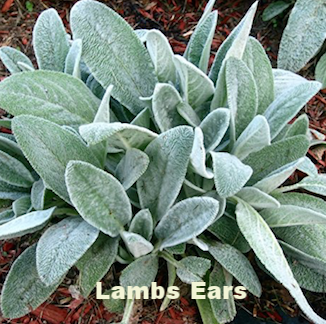 For a ground cover with a grey green color, I love Lamb's Ears (Stachy's byzantia) provided the garden has good air flow to reduce any humidity. All these plants are salt and wind tolerant. Some have flowers - The Mexican Lily a smokey pink flower, and there are white or pink flower varieties of Indian Hawthorn, whilst the Coastal Rosemary and White Correa have very small but obvious flowers. There are many many plants to use for a coastal garden, it just depends on your style preferences and the "look" you want to create. A trained Landscape Designer can certainly provide you with professional advice to gain an optimal outcome. Contact Brian, he would love to show you more.